Cold temperatures can be dangerous. They lead to shivering which saps your energy and even hypothermia and frostbite in extreme cases. As a kid, I participated in a neighborhood youth campout for girls. It was held in June, every year for five days at a time. The setting was a beautiful mountain campground complete with three lakes, endless hiking trails and magnificent starry, night skies. These tips that I’m about to share with you can be used in any outdoor setting. However, they are particularly important while camping and even more so while backpacking, because the farther you are into the wilderness the more serious the consequences for your mistakes (like getting too cold) will be. Unfortunately the actual climate, unlike your luxury SUV, comes with no climate control. I personally believe that this is one of the things that makes nature so appealingly raw. The pent-up energy in a building storm cell, the soft sizzle of a fleeting desert shower, and the lazy summer breeze are all part of its ephemeral beauty. The weather can change rapidly, especially in the high mountain areas that we often love to frequent for our outdoor adventures. When we’re backpacking or camping we have limited resources and this presents us with a problem. How do we plan for every weather eventuality? When I attended my youth camp it was often blisteringly hot in the daytime and barely above freezing when night fell. We can’t bring our entire winter wardrobe, but we also can’t afford to bring too little. Fortunately, you don’t have to pack an extra thirty pounds of puffy jackets and snow pants. You just have to be WISE. As you may have guessed by now, WISE is an acronym. I’ve repeated it several times already because I want you to remember it. It is not only the secret to dressing warmly while adventuring, it has the potential to save your life. This is the secret to layering. Incorporating these layers into your outdoor gear is the most effective way to maximize the potential you have to adapt to any weather environment. Layering on multiple sweatshirts as a girl was not effective for me because I had only insulating layers and was still missing all the others. Following this plan will help you stay warm while also cutting down on some extra useless weight you may be carrying around. When you dress WISE you can stay warm around the campfire, and watch the stars to your heart’s content. You can even slip fully layered into your sleeping bag to stay nice and toasty on an especially frigid night. The wicking layer is worn closest to your skin. This layer is important because it helps to wick away the moisture you inevitably produce while being active. Backpacking is going to make you sweat. Sweat is your bodies way of cooling you off but if the temperature suddenly drops, or you stop moving and are no longer exerting the energy to keep yourself warm, you could become a bit of a human Popsicle. Wicking layers serve to essentially absorb the sweat off your skin and allow it to quickly dry and evaporate. Good wicking layers are made of synthetic fibers like nylon, spandex, polyester or blends. Think under armor or cotton-poly long underwear. Insulating layers are meant to trap and store heat. You’ve probably heard of the insulation that construction workers put inside the walls of your house. Well-insulated houses are cozy, while poorly insulated ones are drafty and cold. This principle is exactly the same for your layering. Down is a popular insulating material. The soft feathers in a down jacket create tons of little spaces between them to trap warm air. The puffiness is known as loft. Loftier down jackets will be able to keep you warmer. Down is a great choice because it is highly packable and very light. However, you should keep in mind that down becomes useless if it gets wet. It is nearly impossible to dry! At the opposite end of the spectrum is flannel. It can be a great insulating layer but it is much heavier than down. Polyester pullovers can also be a great choice, as well as any combination of the three. 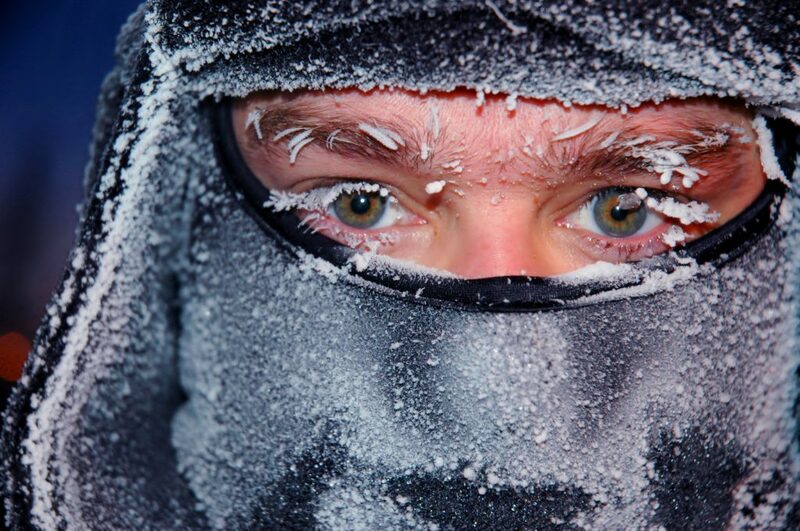 Plan your insulating layers to keep you warm in your coldest expected temperature. The shell layer is the icing on the cake. Shells are meant to keep the weather out and keep you and the rest of your layers dry. A good shell is lightweight, breathable and will protect you from rain and wind. The more waterproof your shell layer is the less breathable it will be. Keep this in mind and be sure to pay close attention to the weather forecast when selecting your shell layer. When I’m backpacking I usually save my favorite purple shell until the sun sets and the wind picks up. It always drastically increases my warmth! Without a shell, wind can cut right through your insulating layer and quickly sap all your hard-earned-heat. Your extra layer includes things like hats, gloves, and scarves. These things can also be layered when needed using the same principles. 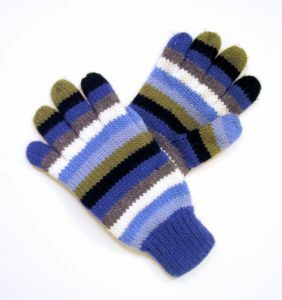 For example, you can wear a thin wicking liner beneath your winter gloves. Depending on the season you may not need any of these extras, but I almost always pack a thin pair of gloves. Nothing kills the camping fun like trying to gather firewood with Popsicle hands. AND better hiking, AND better backpacking, AND better skiing, AND better walking between buildings on your college campus, etc. Dressing WISE quickly solved my number one camping problem. I have definitely bundled into my sleeping bag fully layered on more than one occasion. Not only has this kept me warm from head to toe, but it also provides a little extra padding for sleeping on the hard ground. Some people may find themselves to be extra chilly sleepers. In these cases, dressing wise may not cut it when you’re completely sedentary. I find that putting a sheet inside your sleeping bag works wonders. The sheet provides more air spaces to keep you warm just like the down jacket. Tucking your pant legs into your socks can also be helpful. I continue to develop little tricks to keep myself warm while camping. But without the basic layering system, I would still be stuck shivering on a camp chair wearing ten sweatshirts and wondering why I couldn’t get warm. If you have anything you want to share, personal tips you want to add, or questions you want to ask, feel free to post them below! Hi! Great post! I’ve never heard of the acronym WISE before. I wish I’d have known that a few months ago! I hadn’t been camping in a long while and especially wanted to since I had my baby girl 15 months ago. We went to Ranier in July so it was exactly like you stated. Pretty warm during the day. I maybe needed a light jacket at most but at night, it was brutal! I tried to layer my baby girl as best as I could but the last night was so cold she started crying. I had to pull her out of her pack-n-play and snuggle her up next to me so she could share my warmth. I will be better prepared for the next time! Thanks for sharing this information! I know the feeling! I can personally attest that if you layer WISE, you and your baby girl will be able to get a lot warmer. It might take a bit of practice as you figure out what works for you, but I know you can do it. I love camping and once almost frozen to death some years ago. Believe it was the wicking layer not working in bringing away the moisture, so I still felt chilly even with thick outer layers. Wish I could have got your advice earlier. Love your acronym WISE, easier to remember and as a checklist in the future. Glad I could help. I think it’s a great acronym as well. I have seen a lot of outdoor books and websites talk about wicking, insulating, and shell layering but they usually leave off the E which I think makes it harder to remember. Such a WISE blog 😉 Thank you for sharing these great tips. I love to go for a walk every now and then. Nothing major, but still. And since I’m not a summer kind of woman, I prefer to go outdoors when it’s a bit colder. Keeping myself warm and cosy has always been a challenge, due to physical issues. I’d love to try out your system of layering, because I expect it to beat mine easily. Thanks for reading! I’m excited for you to try out the WISE layering because it really can’t be beat. Very helpful post. Found it at the perfect time. My wife and I are heading north this week to do a bit of fall camping and site seeing. The last week of September in Northern Michigan is very unpredictable, could be in the upper 80’s during the day and dropping down to the low 40’s after sunset. This post will make our trip a lot more comfortable. Thank you. So glad I could be of help. I hope you and your wife have a great time camping. Let me know how the WISE system worked for you! This article is a real eye-opener for me! For years, I wondered why none of my coats really did the trick on cold winter days. I bought expensive coats, even with real feathers in them, but still the wind got in. I got one of those insulating jackets, but even that one doesn’t really do the trick, plus I get sweaty in it as soon as there’s a tiny bit of sun. Reading your article I now know that I was missing some key features for a good coat. Thanks for writing this. Next time I will know exactly what to look for! The key to the WISE system is adaptability! If you have the right layers you can remove some when it gets too hot and add some when it gets cold again. This is especially important for travel on a sunny winter day when the temperature can fluctuate a lot! It’s definitely much better to have each of these layers instead of just one big thick coat. A single coat is not adaptable at all. I am a skinny guy, and I get chilling cold really fast. Covering myself up like the guy iced in the picture can help. But there is some clothing material to choose. I buy the ones with merino wool or insulating synthetics. They are the best and also bought together with a pair of thick woollen socks. For food, I eat a lot of cheese, olive oil and some spicy food to stay warm. Insulating materials are very important! And thanks for the tip about food, it’s true that some foods help keep you warmer. Hello Mariah and thank you for the great recommendations! I honestly never knew about the WISE dress code. I’m used to generating the heat internally in my body using the Pranayama breathing techniques that I learned during my Yoga Teacher Training, and I never liked to have many layers of clothes as I easily get warm. But I suffered the problem that I need a shield from the cold wind that causes lots of problems when hitting a warm body. 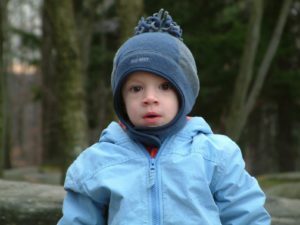 Now that I come through this article I understand how can I mix both the breathing techniques along with the necessary layers of clothing in order to stay warm when outdoors in general, and while camping in particular as Winter is coming soon. The great thing about the WISE layering system is that you adapt it to your bodies needs. If you are generally a warm person then you will utilize the layering system differently than a colder person! When I was a child, my family camped a lot and my experience is similar to yours. We were miserably hot in the day, and froze at night. It’s not like you can bring you whole closet so we had to be selective in what clothing we brought. This is especially true when backpacking when space is limited. To make matters even trickier, my dad refused to buy warm sleeping bags. He thought the down ones he’d had for years would be sufficient. Feathers blowing all over the place aside, these bags were not warm so we had to rely a lot on our clothing. I like the acronym WISE, and will remember it next time we take our family camping. It’s great advice and easy to remember. Thanks for this informative article. I learned a lot! The best part is you can stay toasty warm just using inexpensive layers. I got a lot of my WISE layers from thrift stores!